Aerosol. An anti-corrosive primer for a large variety of substrates. Particularly recommended as a primer for outdrives and propellers. 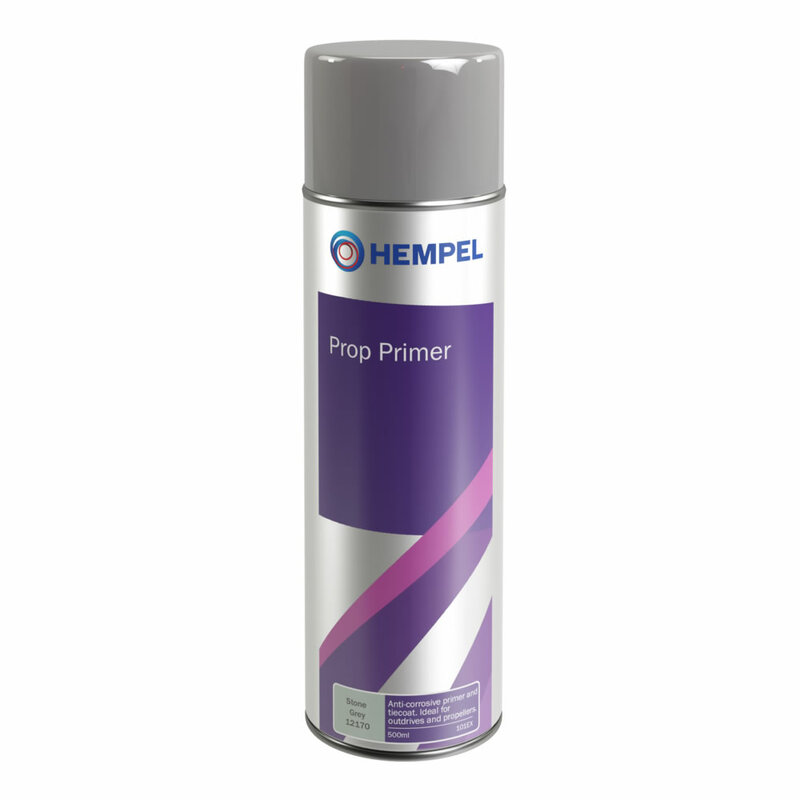 Prop Primer has very good adherence to most substrates. Fast drying, easy to apply with a matt finish. Overcoat with Mille Drive or appropriate antifouling Gel/High protect. Wash the area and rinse with fresh water. It is recommended to carry out sanding of the surface with sandpaper size 80-120 in order to assure optimum adhesion to the substrate. Applications on existing coats: Before repainting a propeller it should be degreased followed by fresh water hosing. The old layers of antifouling and any primer in poor condition should be removed. Dust off residues. Apply a layer the product on the areas where the substrate is visible.